Despite several OMO mop ups, SMIS sales and the NTB auction held during the week, financial system liquidity remained positive on all trading sessions this week. Interbank market rates remained at single digit at the start of the week but spiked to double digit mid-week following special OMO sales. 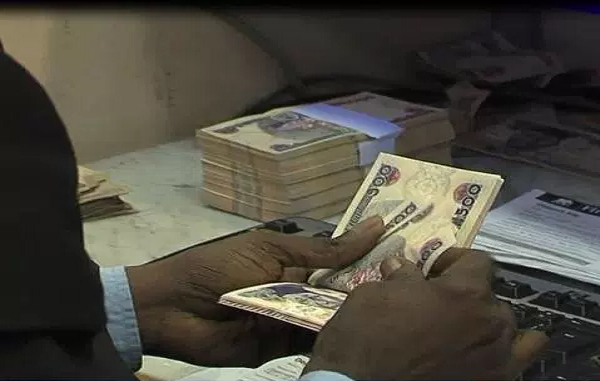 At the start of the week, Open Buy Back (OBB) and Overnight (OVN) lending rates traded within a 5.0 percent – 5.8 percent range on the first 2 trading sessions due to surplus system liquidity as against a deficit of N115.4 billion from previous Friday’s close. The CBN conducted an OMO auction which saw a debit of N72.8 billion on Monday and held its weekly SMIS sales with an offer amount of $100 million; however, short term Naira rates stayed in single digit on both days. The trend reversed on Wednesday as OBB and OVN rates spiked to 19.7 percent and 20.2 percent respectively following a drop in liquidity level to N26.9 billion at market open while the CBN floated a special OMO auction. Rates remained in double digits till Friday, eventually closing the week at 22.0 percent and 22.5 percent, up 17.0 and 16.7 percentage points W-o-W respectively. Activities in the secondary treasury bills market was largely quiet this week as average yield across benchmark bills closed flat on 3 of 5 sessions. Average yield closed the first session at 17.9 percent and remained at that level till Thursday before dropping 14bps to close at 17.7 percent. Sentiment reversed on Friday due to tight liquidity as average yield inched up 0.2 percent, indicating a 0.1 percent climb in yields W-o-W.
At the T-bills Primary Market Auction (PMA) held mid-week, investors expectedly positioned at the longer end of the curve as market continues to anticipate a drop in interest rate. The 364-day instrument offered by the CBN recorded excess subscription to the tune of N91.1 billion, whilst the CBN allotted N136.5 billion at a stop rate of 18.5 percent relative to the offered amount of N120.0 billion. The 91-day (Offer amount: N29.1 billion; Subscription: N26.1 billion) and 182-day (Offer amount: N80.0 billion; Subscription: N69.75 billion) instruments were however undersubscribed, whilst the CBN allotted N23.2 billion and N69.57 billion at stop rates of 13.4 percent and 17.4 percent respectively. In the week ahead, there will be an OMO maturity of N113.1 billion on Thursday but we expect the CBN to issue several OMO auctions to guide financial liquidity to target levels.